You're heading to work to make money, but what if you could earn a little extra on the way? 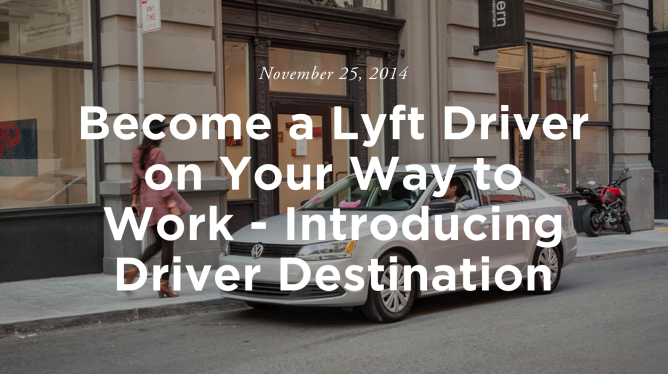 That's what Lyft is promising with its latest initiative, Driver Destination. The new service extends to drivers what Lyft Line offered passengers. It lets drivers offer rides to people who are heading in the same direction, and it pays them for the trip. Here's how Driver Destination works. First you put your destination into the app. Lyft will then send you requests from drivers who are along your path and heading in the same direction, ideally requiring minimal detours. You can earn up to $400 a month for your efforts.